Amazon's Choice for "colloidal silver for dogs"
ASSISI VETERINARY Euphrasia Eye Drops Homeopathy Natural Eye Care for Dogs, Cats, Horses, Birds, Pigeons, Rabbits and Small Animals – in easy to use 18ml dropper bottle. Soothing cleansing eye wash.
Visit the Small Animal Collars, Leads & Harnesses Store for a huge selection of collars, leads and harnesses for rabbits, guinea pigs, ferrets, hamsters, rats and mice from great brands at top prices. Visit the Small Animal Store for great offers on food and accessories for rabbits, guinea pigs, hamsters, mice and more from top brands. Visit the Small Animal Treats Store for a huge selection of small animal treats from great brands at top prices. 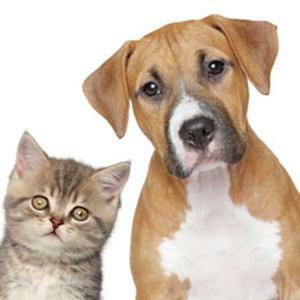 Safe, effective solutions for pets. Optimised Energetics is a small, family-run business that operates out of a purpose-built manufacturing unit in Wadhurst, East Sussex. All of our products are handmade, utilising medical grade equipment and are tested to ensure they are of the utmost quality. 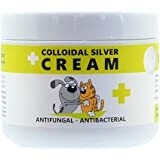 In pets, especially cats and dogs, colloidal silver can be used to treat inflammation, wounds, fever, eye infections, burns, ringworm, parasites, digestive disorders and yeast infections. 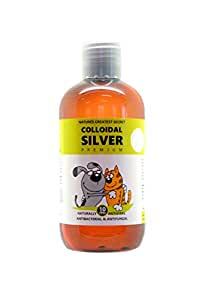 You can also use colloidal silver to improve your pet's gum health and to wash their eyes and ears. 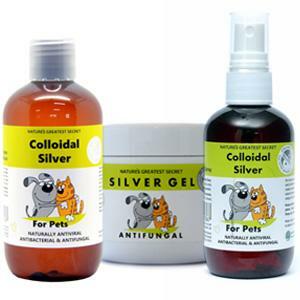 Colloidal silver is perfect for cleaning wounds and can be used as an antiseptic. Use it on the bandages of your pet to reduce the risk of developing opportunistic infections. Apply the recommended amount of colloidal silver to the affected area directly three to four times a day. As our gel products stay longer on their skin and fur, they can treat various skin conditions. Fights off opportunistic microorganisms and infections. 5.0 out of 5 starsGlad I found this! My rescue kitten lost his fur on a spot of skin, vet said it could be ringworm or mites. I sprayed colloidal silver twice a day and his fur started growing back again, within a couple of weeks the patch on his leg was gone. Very happy with this product, now using the rest to try help treat his gingivitis until his vets dental appointment in a couple of weeks' time. 5.0 out of 5 starsBy it as it works! Using it on my dogs sore eyes and it seems to be working a treat. Redness gone after a couple of applications. 3.0 out of 5 starsSeemed to help a bit! I bought this to treat my cat who has a respiratory infection that was not responding to antibiotics. I was also giving her a little bit of propolis and nascent iodine. There was a slight improvement, before I found a herbal vet who gave her some San Ren Tang extract and reishi mushroom powder. She now appears completely cured and is not coughing, sneezing and spluttering anymore as she was. I think the colloidal silver played a small part in this, mostly it was the San Ren Tang and mushrooms from the holistic vet tho. 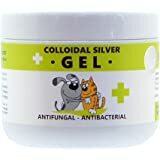 This is not a particularly strong or powerful colloidal silver formula (only 10 parts per million) so I wasn't expecting miracles, however I hadn't tried it before and the cat is only small, so I didn't want to overdo it. 5.0 out of 5 starsbest purchase!! Absolutely amazing product. Uses on my old boxer gals eye ulcer. Worked in half the time than it took her other eye to heal under veterinary medicines. Will absolutely recommend! And will buy again. Thank you from her and me! After 2-3 weeks of treating my cat's ' undercarriage' where the fur had come off due to ringworm , she seems so much better and the fur is returning. So far so good, she even loved the application and didn't try to lick it off.